Thanks to Toronto Film Scene and Bloor Hot Docs I recently had the chance to see a slew of good-to-great documentaries. One of those was the stellar and inspiring 20,000 Days on Earth which really stretched the idea of a documentary by following a script for much of its runtime. Below are three more traditionally structured documentaries, all of which illuminate a different facet of the human condition with varying results. The Case Against 8 has the unenviable position of constructing a compelling narrative out of a lengthy and complex court case. The case in question is Perry v. Schwarzenegger, the landmark trial to regain gay marriage rights in American’s most populous state, California, after Proposition 8 was enacted to strip those rights away. Filmmakers Ben Cotner and Ryan White wisely narrow the scope to a few key participants. High profile lawyers Ted Olsen and David Boies (former foes during Bush v. Gore, which essentially decided the 2000 presidential election) are the key litigators fighting Prop 8. 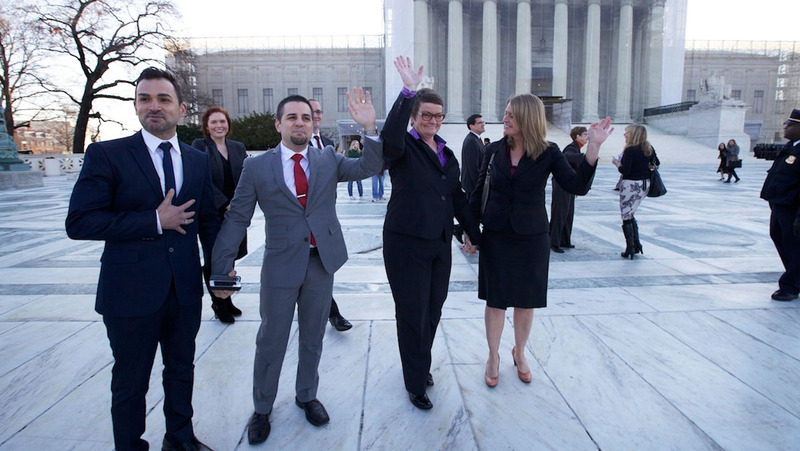 The plaintiffs they represent are two gay couples looking to marry who are thrust into the limelight and became the face of a movement. There’s Kristin Perry and Sandra Stier, who were essentially married prior to Prop 8 and had the privilege revoked, and Paul Katami and Jeffrey Zarrillo, who are looking to cement their love with a legal marriage and be granted all the rights that infers. Cameras weren’t allowed in the courtroom for the most part so drama is built on pre-trial hearings and preparations, as well as the effects of the spotlight on the regular couples. That sounds dry but is in fact executed exceedingly well, with key civil rights and liberties on the line so the stakes are always high. A coterie of supporting characters are introduced while the doc skews heavily towards the side of the plaintiffs. This is to be expected as anti-gay rights activists (like the odious Westboro Baptist Church) and other malcontents have already been shown to be on the wrong side of an important fight and made to look like the backwards, ignorant dissenters they are. Full of thrilling and important moments that the camera was lucky and nimble enough to catch, The Case Against 8 (like the similarly impactful Citizenfour) is a window into recent history that brings you onto the ground floor of earth-shaking events. Important, human, and hopeful, The Case Against 8 is one of 2014’s best non-fiction films. Finding Vivian Maier uses the classic documentary tactic of withholding key pieces of information in order to heighten drama. It works to varying degrees of effectiveness throughout, with some bombshells eliciting gasps and others causing shrugs. For those that really like to experience the joy of discovery and watch a unique story unfold, I’d suggest skipping ahead to the next movie and coming back once you’ve seen this doc. Still here? Good. Finding Vivian Maier begins with some backstory on co-director John Maloof. An avid bargain hunter since childhood, Maloof is the type of obsessive to scour flea markets and storage locker auctions for hidden treasures. He unwittingly stumbles upon an amazing find – an extensive trove of accomplished photographs and undeveloped film taken in mid-to-late century Chicago – along with numerous personal effects of the mysterious photographer, Vivian Maier. As Maloof digs deeper he comes to uncover much of Maier’s odd and tragic story. A nanny to numerous households, Maier took some beautiful photographs but like so many artists had a deeply troubled inner life. The movie interviews many of Maier’s employers (including Phil Donahue!) and the (now grown) children she looked after, as a picture of her life comes into clearer focus. The film is not just a look at the artistic temperament, but also increasingly an examination the mental illness that can often accompany genius. While Maier gains some posthumous recognition at the hands of Maloof (in a story that feels similar to that of A Confederacy of Dunces author John Kennedy Toole), it feels a bit unsavoury as Maloof raises Maier’s profile and sells her work to raise needed funds to (ostensibly) finish the movie. This act adds another layer of the doc to peel back, as the viewer is left with even more questions as to the sincerity of the story being told. Regardless, it’s worthwhile for the accomplished and striking photos alone. Maier was fascinating by the underbelly of Chicago (she often stalked Chicago’s skid row with young children in two) and her work captured the disenfranchised with raw immediacy. At times the presentation feels amateurish and the motives avaricious, but Finding Vivian Maier mostly succeeds as an examination of a unique artistic voice that would have gone unnoticed and forgotten were it not for the movie itself. It may also have the unfortunate side effect of emboldening Storage Wars fans who think that there’s gold in them there lockers. Mistaken for Strangers plays with the form of the traditional rock doc to come up with a charming shaggy dog story that is more about two brothers’ relationship than the rise of acclaimed indie band The National. 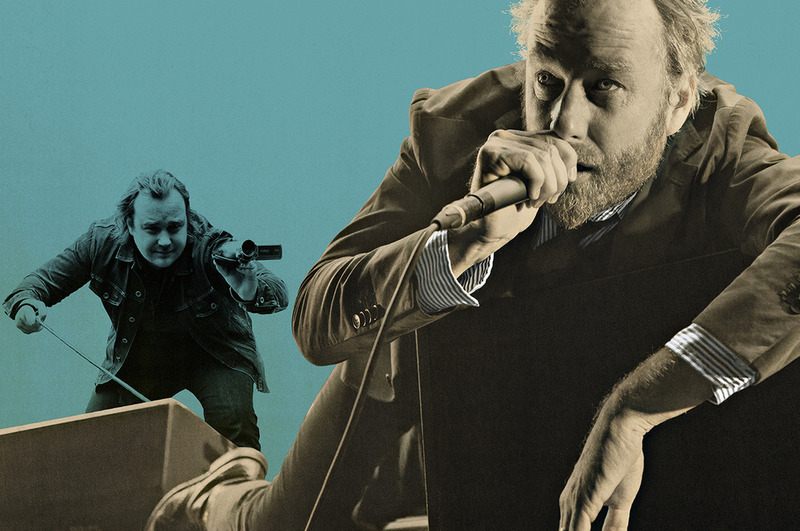 Director Tom Berninger is the younger ne’er-do-well brother of Matt Berninger and as the films opens (in 2010), Matt’s band The National just happens to be on the eve of both a world tour and true breakthrough, mainstream success. As an olive branch to his younger brother and to give him gainful employment for a few months, lead singer Matt grants Tom a spot on the tour as a roadie. Tom, a dyed-in-the-wool movie buff and aspiring filmmaker, takes that to mean that he’s now the band’s official videographer. What ensues is an unvarnished look at touring life told from the point-of-view of a an outsider looking in. The boisterous and endearing Tom drinks to excess, shirks his responsibilities, and often annoys his rockstar brother (sample Matt lines: “Why is there cereal – AND MILK – all over the bathroom floor?” and “That’s the last beer, okay Tom?”) while trying to find his way in both the odd bubble of indie rock and the world at large. It’s hilarious in its own right as well, capturing off-the-cuff moments of all band members and contrasting Tom’s expectations of a crazy rock-and-roll lifestyle with the mundaneness of the actual tour. Standout moments include Tom’s amateurish Chris Farley-like interviews with other bandmates that he inevitably steers back towards he and his brother’s fractured but loving relationship. The film gets meta near the end, as Tom has copious footage but can’t cut it together into a cohesive whole. We know this must’ve happened at some point as we’re watching the damn thing, but there’s still some rising tension – much of which occurs between the two brothers themselves. It all leads to a triumphant and satisfying solution that, like the crescendo of The National’s best tracks, feels natural and heartwarming. It’s a small, unexpected gem of a movie that subverts expectations and charms throughout. Mistaken for Strangers should hold appeal for not just fans of The National but for anyone with a sibling, or simply those who enjoy a good small-scale story.